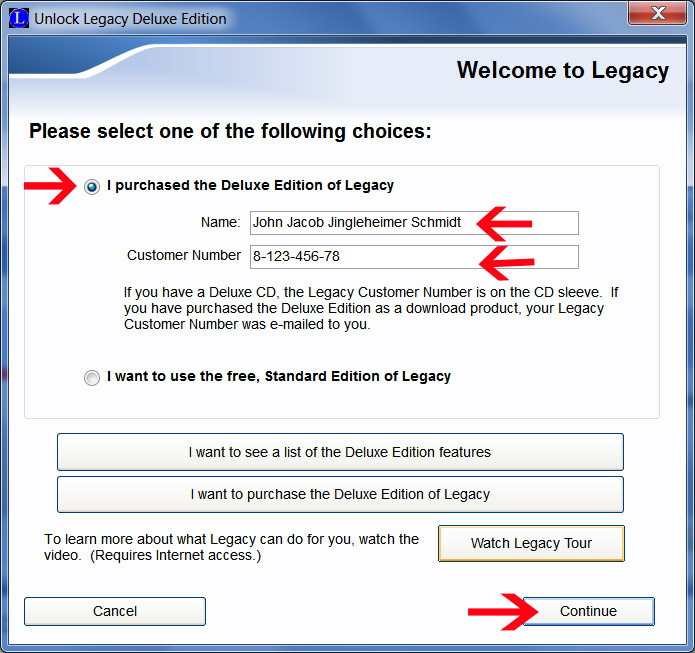 To unlock the Legacy Deluxe features please click on File on the menu bar and select Unlock Deluxe. The Unlock Legacy Deluxe Edition screen will then open. Next click the Continue button. You will know that you were successful because you will get a “Congratulations” message.